AL-BUKAMAL, SYRIA—Saying that he does not want to rush such an important life decision, highly touted terrorist prospect Mansur al-Hawrani told reporters Wednesday that he is continuing to carefully weigh recruitment offers from several radical Islamist militant groups. 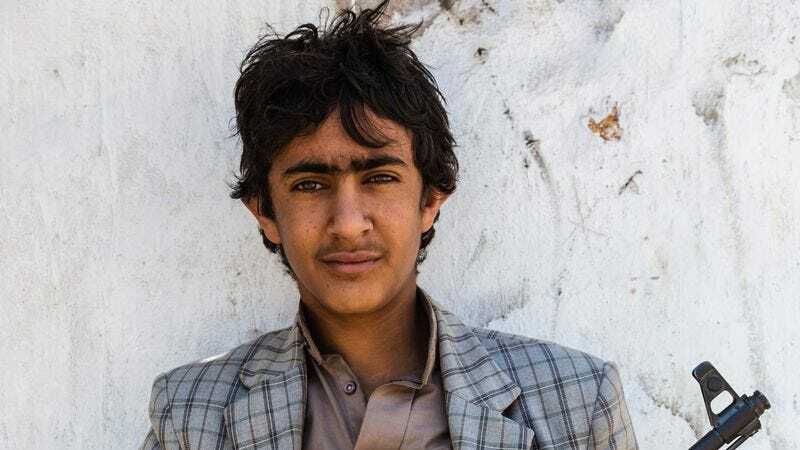 “I’ve heard pitches from nearly every major terror network in the world, and I’m close to narrowing the list down to my top five,” said al-Hawrani, who, as an impoverished, impressionable 19-year-old with a propensity for violence and a virulent hatred of the West, is seen by many as a future jihadist superstar. “Al-Qaeda is obviously an established institution with a long track record of success, and Boko Haram has promised to assign me to a major suicide operation as soon as I give my verbal commitment. But more and more, I think ISIS is a jihadist group that’s really on the rise, and I know I’d be in on the ground floor, helping to build something truly special. No matter what, though, I’m just blessed to have this opportunity.” Al-Hawrani added that he does not plan on announcing his final decision until visiting each of the militant groups in person and seeing how committed they are to drowning America in blood.